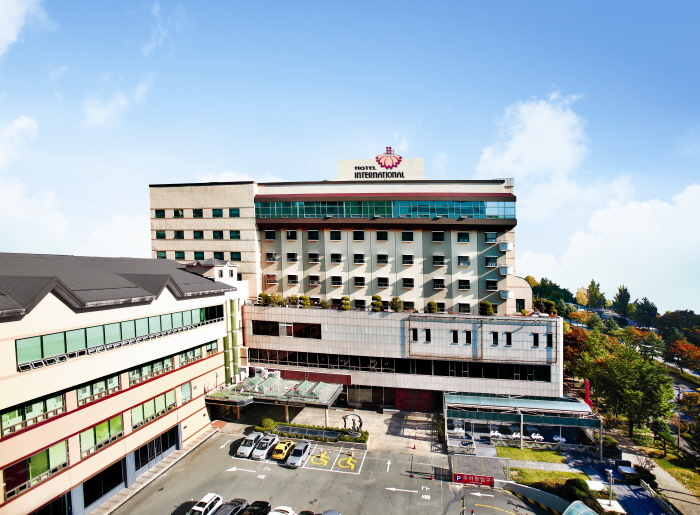 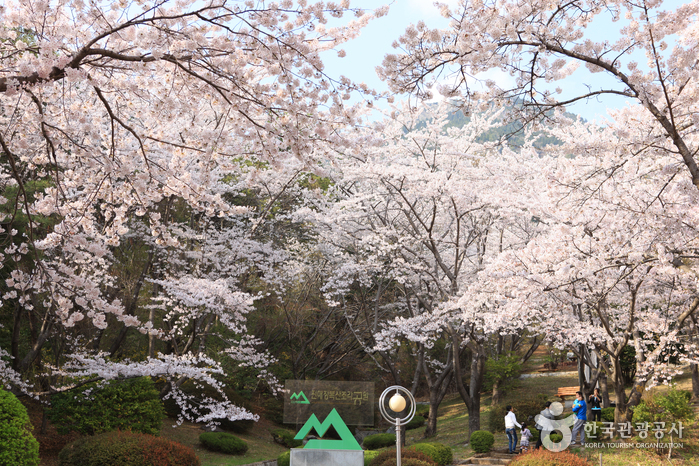 This service is offered to members of the VisitKorea website and Facebook through account log-in. 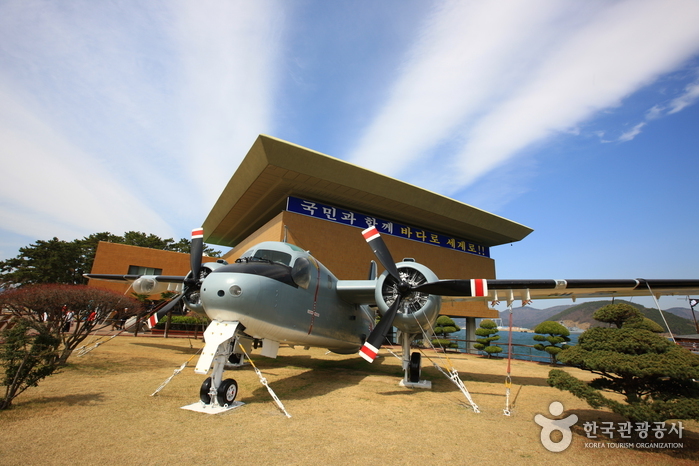 Please select your gender, age and nationality. 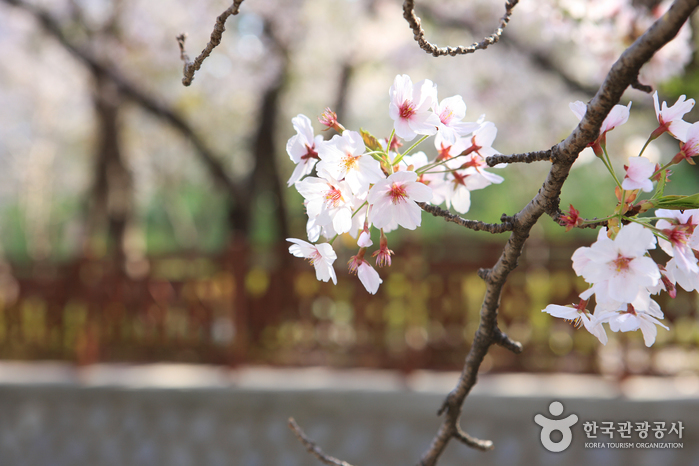 Search for travel information by destination, travel period, and keyword of your interests. 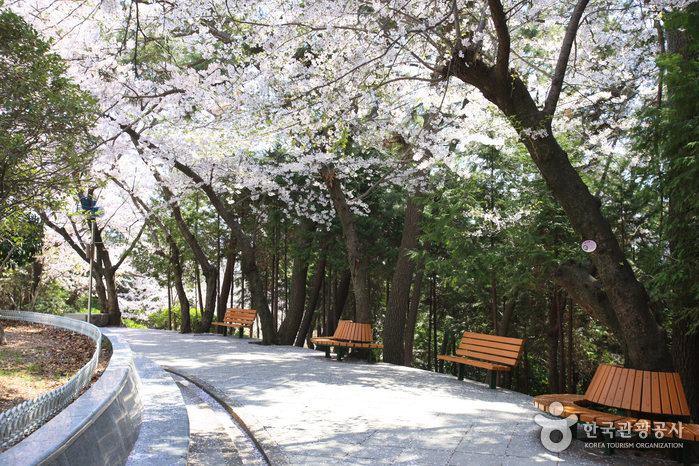 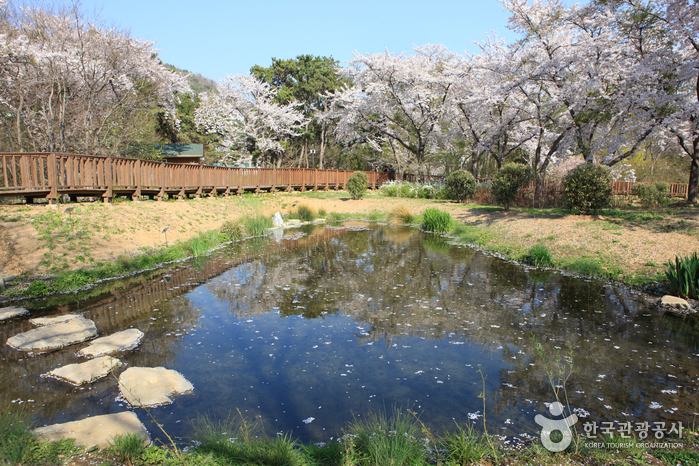 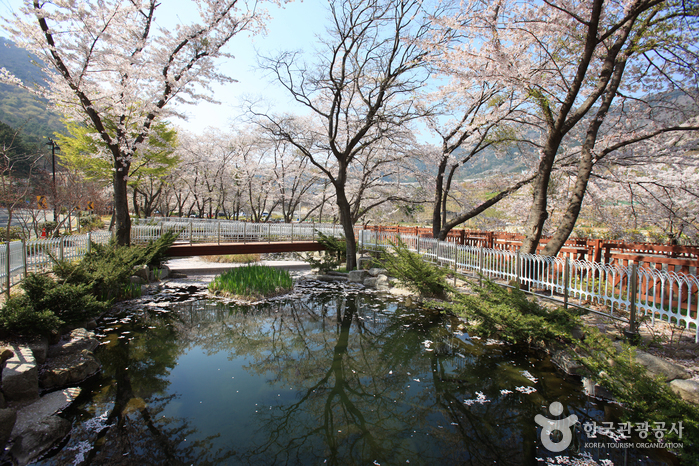 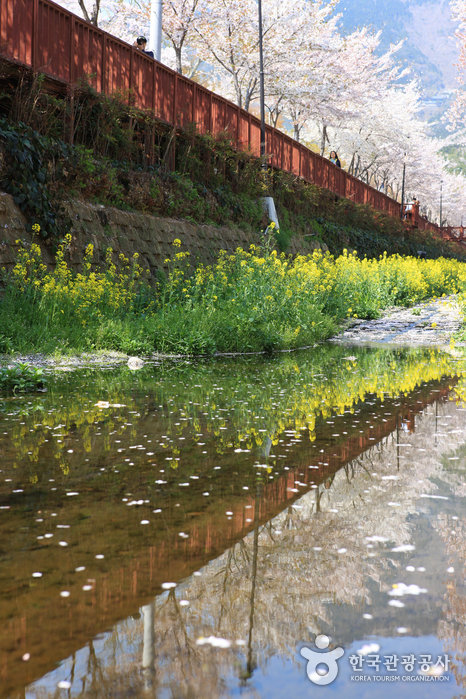 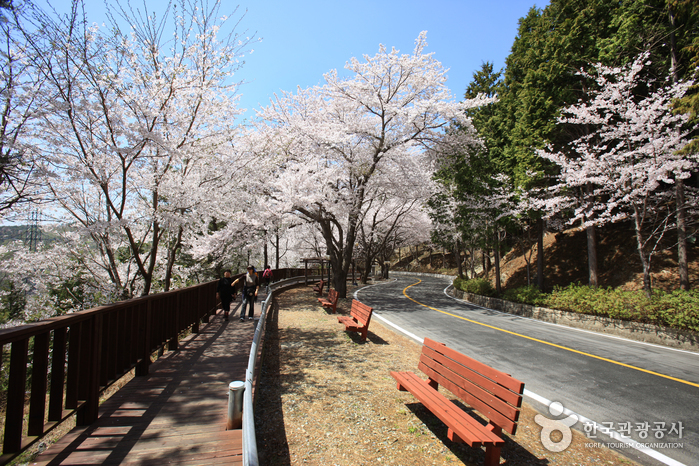 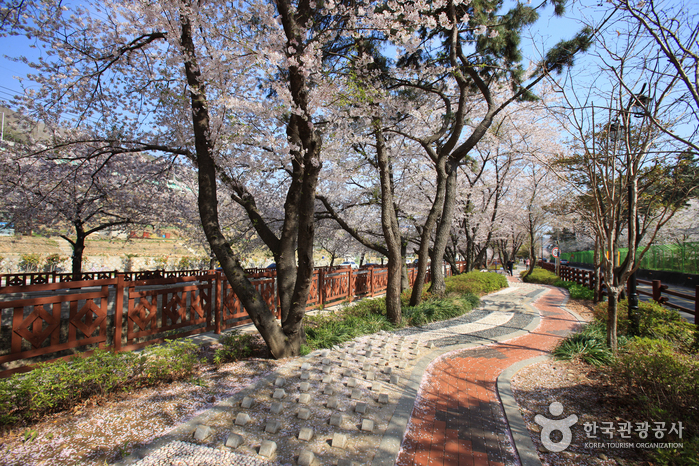 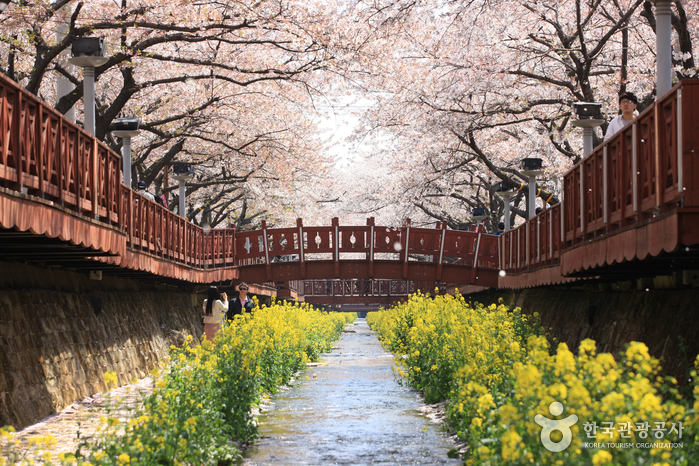 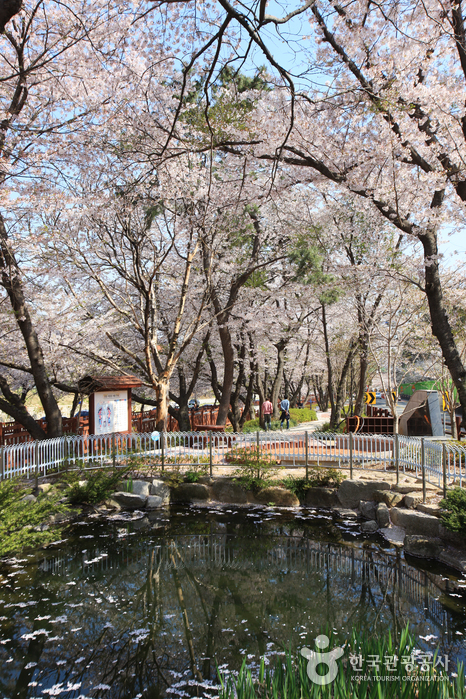 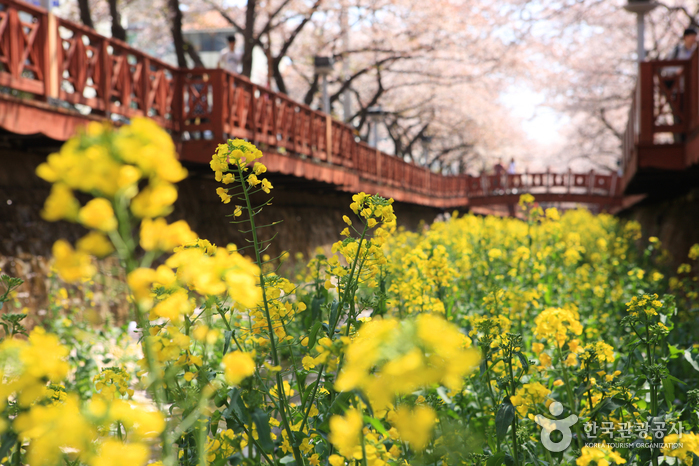 The area around Yeojwacheon Stream is well known as one of Jinhae’s best spots for viewing cherry blossoms. 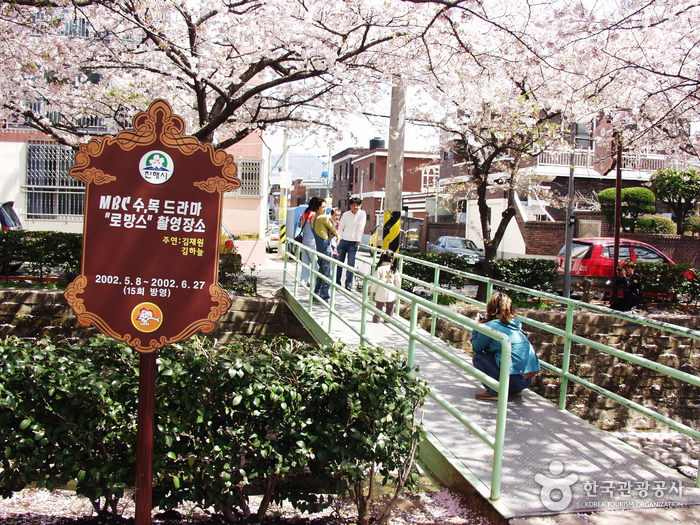 It is also the location of the bridge where the two leading characters, Gwanu and Chaewon of "Romance (2002)," MBC’s TV series, first met as tourists who came to Jinhae to enjoy Jinhae Gunhangje Festival. 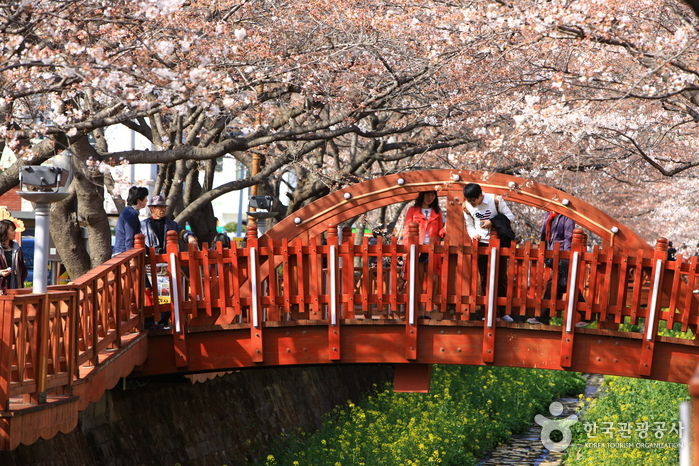 After the episode was aired, the bridge instantly became popular and widely known as the Romance Bridge. 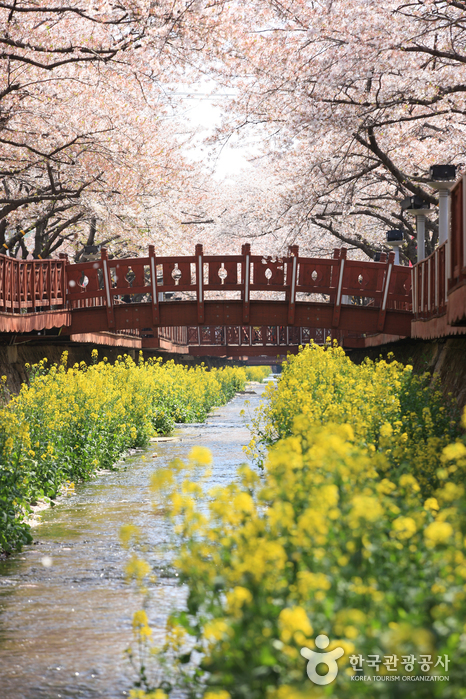 Each April, the entire city of Jinhae is filled with cherry blossoms, but the Yeojwacheon Stream area has the most beautiful cherry blossoms which makes it a prime tourist attraction. 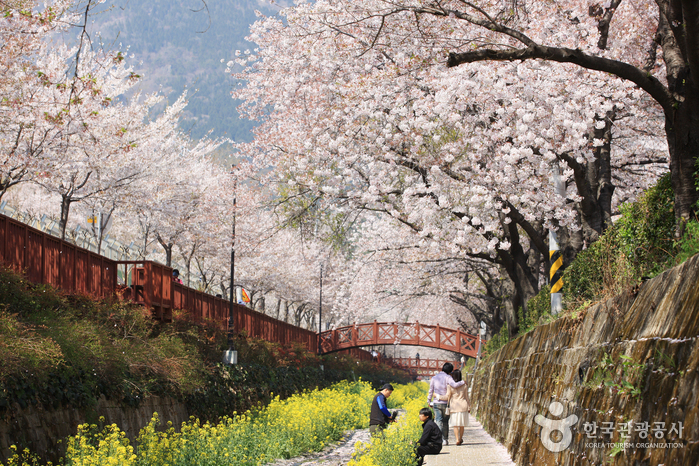 Get off at Jinhae Station. 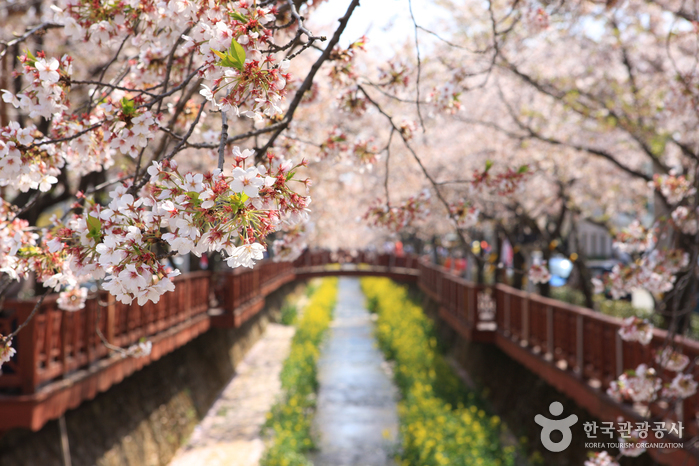 VisitKorea does not guarantee the quality of products or services introduced on its site and is not responsible for any direct or indirect losses resulting from use of said products or services.